English has two great rhyming slanguages, cockney rhyming slang and the dozens, the African American insult game. We’ll leave the parsing of cockney phrases to news reporters covering the Olympics for now and examine the lewd, bawdy, and wonderful world of verbal street duels. 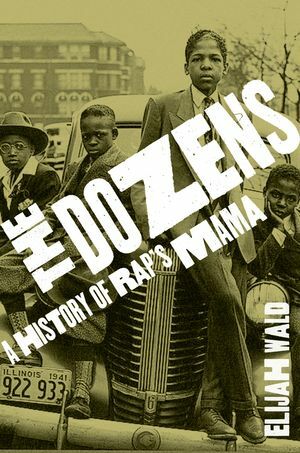 Elijah Wald investigated the origins of this cacophony of dirty jokes in The Dozens: A History of Rap’s Mama. While it may have begun in “yo’ mama” jokes, this language was meant for music, as rap and hip-hop today can attest. The dozens even appears in the seminal writings of Richard Wright, Langston Hughes, and Zora Neale Hurston. Cracking up over @OUPAcademic and today's #litdozens game. Friday Twitter game time! We’re trying a new one this week for you bookish types: an insult game inspired by “the dozens” called #litdozens. Our game: Create a rhyming insult based around a literary figure and use the hashtag #litdozens. We’ll RT the best. Please keep it clean. On Friday, 20 July 2012, @OUPAcademic started a new Twitter game #litdozens, inspired by Elijah Wood’s The Dozens: A History of Rap’s Mama about African American rhyming slang and verbal combat. Below are some of the fantastic entries from our followers. What say you to #scidozens in a couple weeks? Elijah Wald is a musician and writer who has toured on five continents and written thousands of articles for newspapers, magazines, and album notes. His ten published books include The Dozens: A History of Rap's Mama, Escaping the Delta: Robert Johnson and the Invention of the Blues, How the Beatles Destroyed Rock 'n' Roll: An Alternative History of American Popular Music, and The Blues: A Very Short Introduction. He has taught blues history at UCLA and won multiple awards, including a 2002 Grammy.